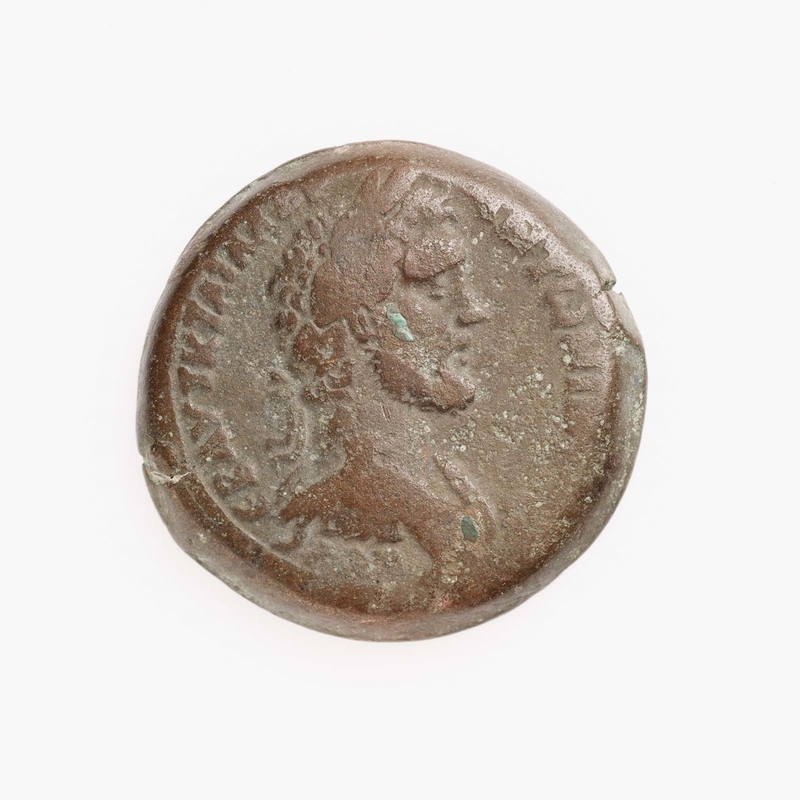 Obverse: Laureate, draped, cuirassed bust of Antoninus Pius to right. 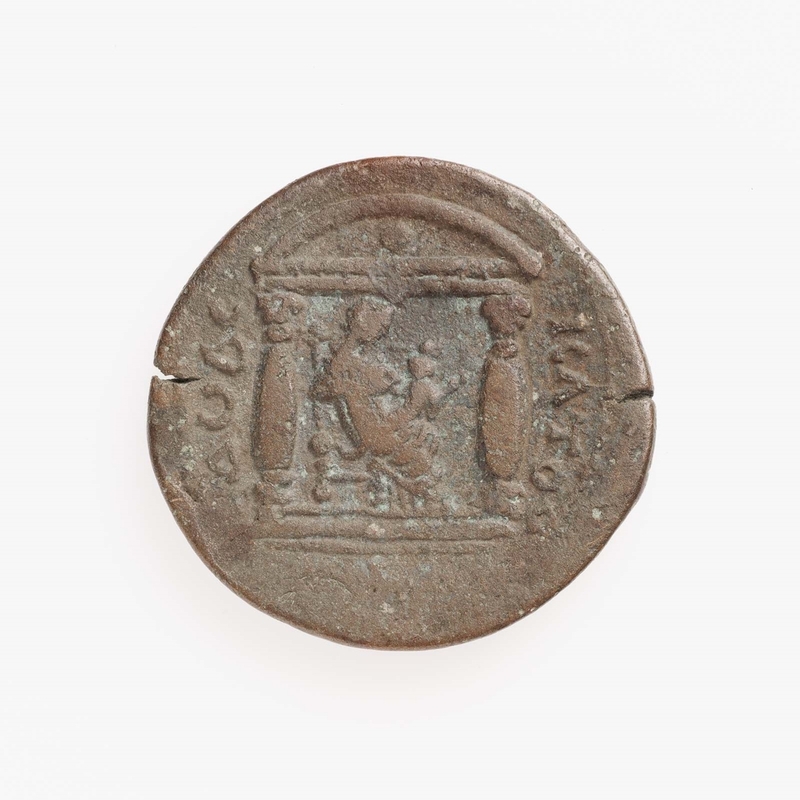 Reverse: Isis seated right with infant Harpocrates in distyle temple. Year 12 = A.D. 148-149.